How Much is a Hotel Room in Sefton Park? 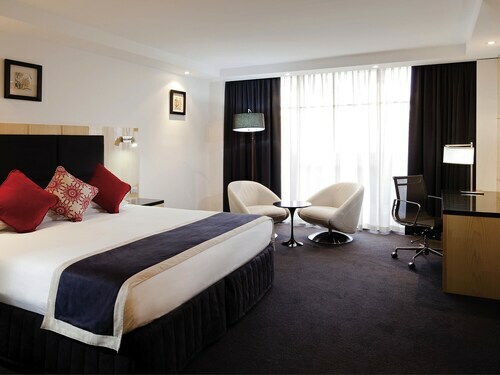 Hotels in Sefton Park start at $70 per night. Prices and availability subject to change. Additional terms may apply. Visiting Sefton Park? There is a number of hotels and apartments from which to choose. Inside our up-to-date accommodation pages, modern travelers will love finding 118 accommodation options within 6 miles (10 kilometers) of the city center. Travelocity customers with their eyes on a a room near the centrally located attractions of Sefton Park will love the features of Comfort Inn and Suites Sombrero. 2 miles (4 kilometers) outside of the middle of Sefton Park, you will find the Adelaide Heritage Cottages & Apartments. The Buxton Manor can be found 2 miles (4 kilometers) away. Other possible accommodation options are the Seawall Apartments and the Fire Station Inn. 9 miles (14 kilometers) away from Sefton Park, you will find Glenelg, where you can find The Beachhouse and Holdfast Marina. 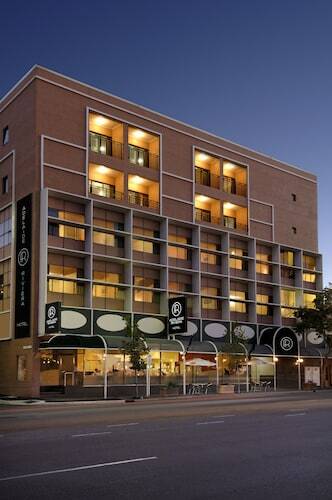 The Stamford Grand Adelaide and Oaks Plaza Pier Glenelg are just some examples of the great lodging options in Glenelg. Or, you could stay in Oaklands Park, 10 miles (16 kilometers) to the south of Sefton Park, where you have the options of the Oaks Liberty Towers and Ensenada Motor Inn and Suites. 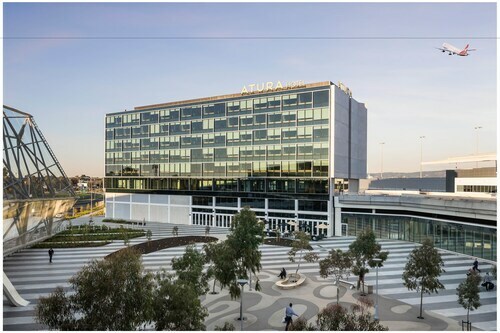 The SA Aquatic and Leisure Centre and Westfield Marion Shopping Centre are a couple of the frequented places to visit should you visit Oaklands Park. Prior to saying your goodbyes to Adelaide, you sure ensure you see a fast-paced game. Make your way to Adelaide Oval, which you can find to the south of Sefton Park. 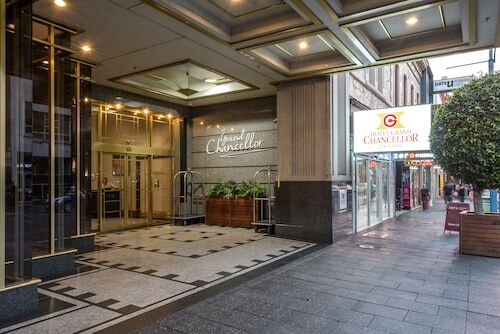 Anybody that wish to find Travelocity-listed accommodation in the area around the game can take their choice from the Michelle's Garden Apartments or the Adelaide DressCircle Apartments - Sussex St.
For modern travelers planning on flying via Adelaide International Airport, you may choose to book a room at Acushla Accommodation, or Marion Motel and Apartments, both of which are a short trip away. The entrance gave the impression of a friendly place. It was also easy to find my way around. Perfect after a 30+ hour travel experience. Loved everything about it: handy location, pristine room, completely comfortable dark and quiet, and excellent breakfast in the morning. 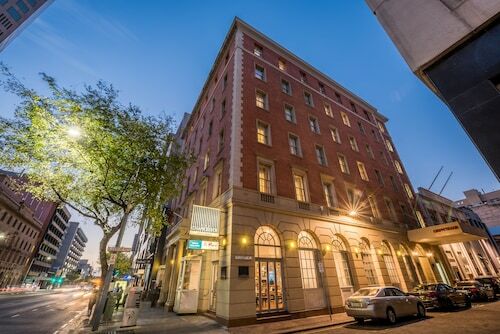 the hotel is just around the CBD. the staffs are very helpful. the checkin was very quick and the room was very clean and comfortable. i would certainly recommend it to my friends. Disappointing. Terrible lobby. Terrible view from room. 1.0 Waste of money. Rooms are over priced. I stayed in the 1 bedroom executive apartment for 2 nights, I am extremely unhappy with my stay. The room was clean, however very small and over priced. The staff were nothing but rude and un helpful. I arrived at my room to find a smelly, dirty blanket neatly folded in the cupboard, the bed was hard as a rock, and only 1 towel provided for 2 guests for a 2 night stay. Car parking was disgusting. I ended up paying $80 just to take my car in and out of the car park. They didn't inform me it was a one time entry and exit, yet we can paid $20 for a flat rate of 24hours. NOT GOOD FOR TOURISTS. I attempted to take my car out at 10pm on Saturday night to collect my partner whom were in trouble, he had our bank card, cash and everything so I couldn't pay for the ticket, I pressed the button to speak to the hotel about covering my fee when I get back and they denied me exit. I then walked to get my partner and were sexually assaulted all because the hotel couldn't flag yet ANOTHER $20 FEE!!!!!!!!! My partner was disgusted and had confronted the hotel when we got back only to be threatened eviction because there were guests walking through who were disgusted in hearing about what has happened. They didn't apologise, they didn't offer me compensation nor did they show any sorrow for what had happened to me. I am so appauled!!!!!!!! Pleasant room with reasonable price and convenient located.